I’m happy to finally be sharing with you something that has been so close to my heart for this past year. 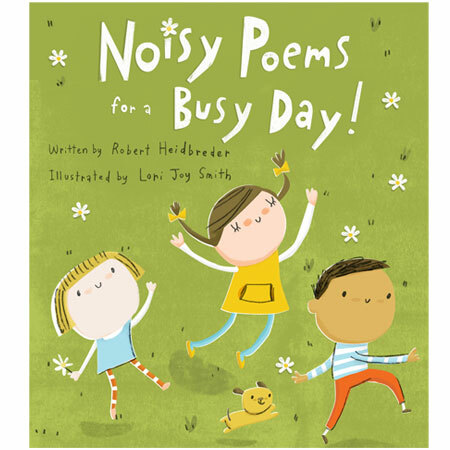 It’s called “Noisy Poems for a Busy Day”, it’s a collection of fun children’s poems… and I illustrated it!!! It is going to be published by Kids Can Press and is due to be on shelves by this coming December. It was written by Robert Heidbreder. He’s a retired school teacher living in Vancouver, who now works as a children’s book author. Every part of this project has been a dream come true for me. I’m still pinching myself to believe it’s all real. Robert’s poems were a complete joy to illustrate, he was so supportive of my work . I feel thankful that my art director Yvette saw the potential in me for this book. It was a crazy amount of work, but I feel like the luckiest person in the world that I got to do it. I hope once it’s out there in the world it will bring as much happiness to others as it has brought to me! The cover really reveals the joy you’re describing. A big congratulations, Lori! Burping kid in striped tights: awesome. Fantastic! I can’t wait to get a copy or 2! Congratulations Lori! Love it!!! Congratulations Lori on your labour of love… it’s awesome!!! oh my goodness… that’s FANTASTIC!!!! Your illustrations make me want to read the poems!!! Way to go, it’s so beautiful! I recognize the burping girl from your handy table rules printout. It hangs above my kitchen table and keeps my son’s bum in his chair. Thanks for that by the way! It looks so beautiful! I so will be buying a copy of this for my kids. 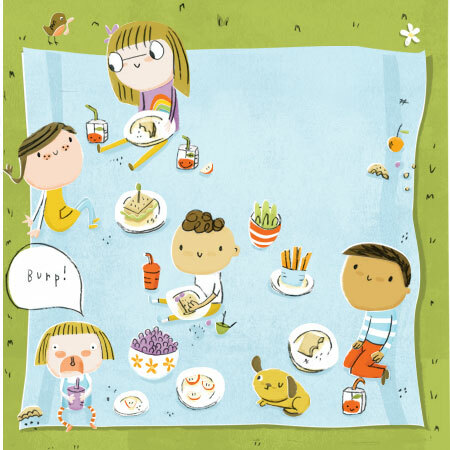 Your illustrations are such a joy! CONGRATULATIONS LORI!! That is so exciting!! I’m definitely buying it.